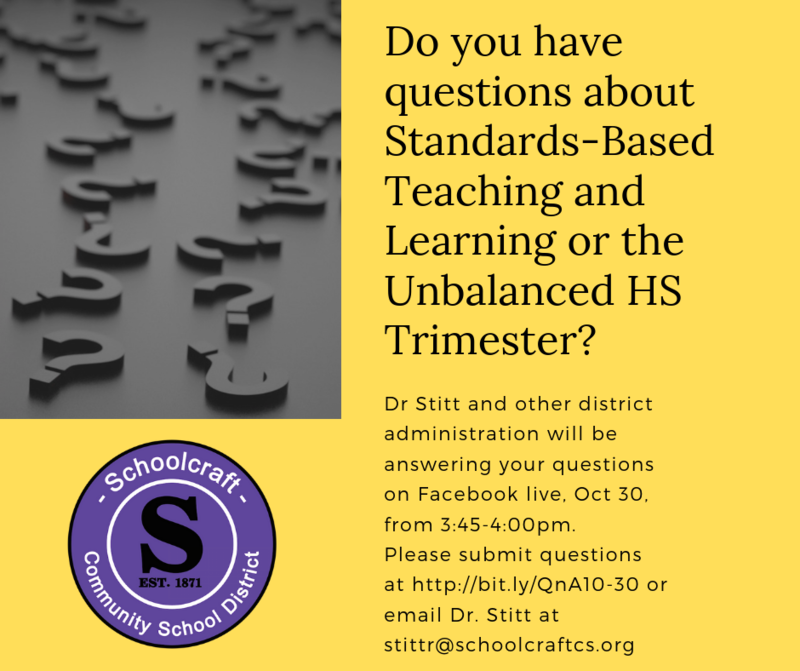 Do you have questions about Standards-Based Teaching and Learning or the High School Unbalanced Trimesters? Tune in between 3:45-4pm on Tuesday, Oct 30th for a Facebook Live Event to get answers to them all! Not available at that time?